Northern California has long been overshadowed in terms of landscape photography when compared to areas like Yosemite, and Kings Canyon to the south, however this region of California truly has some of the state’s best locations for stunning landscape photography. Come spend a wonderful summer weekend with the Aperture Academy and see some of Northern California’s gems through the lens of your camera. 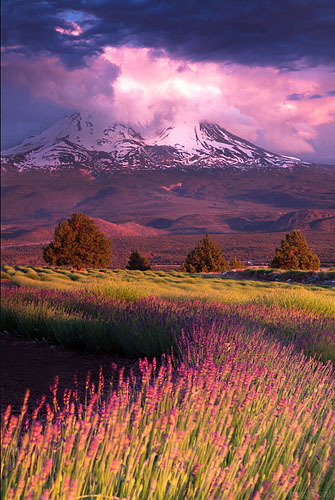 Your workshop will begin in the lovely little town of Mount Shasta, as we spend an entire day exploring views of this iconic and beloved volcano. We’ll photograph stunning reflections from pristine, little visited lakes, and climb to higher vantage points as well to show this beautiful mountain from its best angles. Mount Shasta is a spectacular subject to photograph and our team of professional photographers know all the best spots to capture it with a camera! In addition to Mount Shasta we’ll visit some of the areas most spectacular waterfalls. During a time of year when most waterfalls in the southern parts of California are beginning to dry up the waterfalls in this region are just getting ramped up. Many of the waterfalls are fed by underground springs, and flowing nicely right through the summer. We’ll visit large iconic waterfalls like Burney Falls, falling over a rigged volcanic shelf in hundreds of streams of various sizes in to a deep cobalt blue pool below. We’ll visit the small, but scenic Hedge Creek Falls, a small narrow waterfall that drops over a cave of basalt that a photographer can walk behind and shoot from behind the falls! And these are only some of the waterfalls possible to photograph during your time in the Shasta region. Conditions change all the time and our team of professional photographers and instructors will be on top of the most current conditions so we can take you to the best spots and the right times of day. Our visit may include a trip to the local Lavender farm, with its row upon row of bright purple flowers, and breathtaking view of Mt. Shasta. 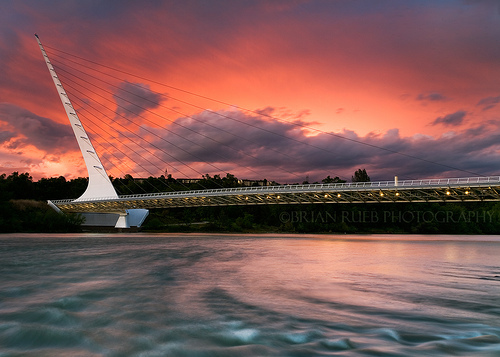 We will make a stop the last evening in Redding, California to photograph the scenic and internationally famous Sundial Bridge and photograph it as the glass walkway is lit for the evening. There is truly something for everyone on this trip and we cover a wide range of photography skills along the way. From basic manual settings, to filter use, and composition our instructors are there to help answer all your questions, no matter what your skill level. The workshop also offers time for image review and processing questions during breaks. Come spend two full days of photography and fun with the Aperture Academy in the heart of Northern California! Aperture Academy is an equal opportunity company, which operates on a non-discriminating basis, under Special Use Permit for Shasta-Trinity National Forest. Lodging and meals are not included. Suggested lodging is the Best Western Tree House Inn, in Mt. Shasta, California (530-926-3101). We will take a break mid-day, each day, for lunch and rest. There are many restaurants in the area for lunch, as well as for dinner.